Gamble House (1998–2010) Pasadena, California – Original Greene and Greene home, now a museum containing original Greene and Greene furniture. Jeff has done restoration work on interior lighting. Gamble Home (2000–2004) Jackson Hole, Wyoming – A grandson’s appreciation of the Gamble House in Pasadena, California. 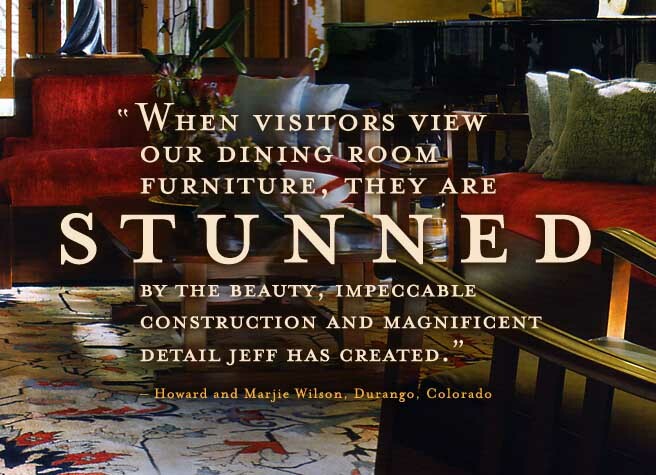 Jeff provided consultation and was commissioned to create custom furniture and lighting. King House (1998–2000) Mammoth, California – Arts and crafts-inspired house near the Mammoth ski area. Jeff was commissioned for stained glass and lighting work. Wilson House (2000–2010) – Durango, Colorado – Greene and Greene-inspired house overlooking the Animas River in Southwest Colorado. Jeff was commissioned to build custom furniture and lighting. Darling House (2009) – Claremont, California – Original Greene and Greene home. Jeff collaborated in building custom interior lighting. Ford House (2010) – Pasadena, California – Original Greene and Greene home. 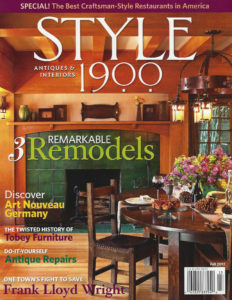 Jeff was commissioned to design and build custom furniture and lighting. Sanborn House (2010–2011) California – Original Greene and Greene home. Jeff collaborated in building custom interior lighting. Gamble House Bookstore (2008–present) Pasadena, California – Custom picture frames and lighting commissioned for Gamble House Bookstore merchandise. He’ll start your custom Greene and Greene-style lighting or furniture project.